Cape Cod's many towns each has its own distinctive personality, and we picked Chatham for its plentiful children's activities and location smack in the middle of the Cape. See the fishing boats come in on Chatham Pier, and them watch them unload their catch up close – the kids loved this activity so much we were on the dock for almost an hour. There are also seals swimming around the pier, and a takeout window for lunch, selling Cape Cod staples: lobster rolls, fish and chips, chowder. 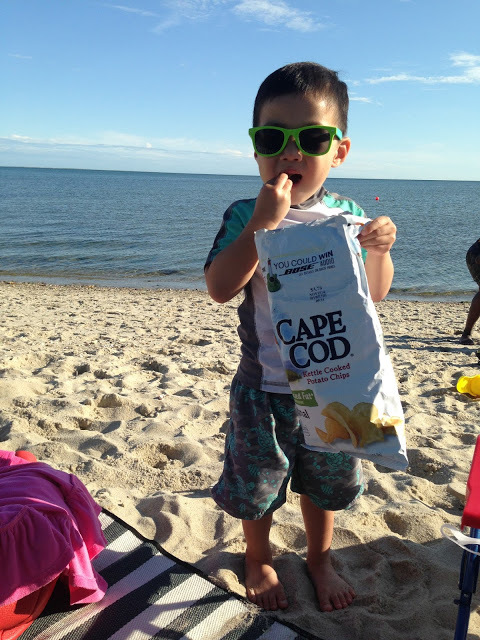 Chatham's got plenty of beaches to choose from, but we loved three in particular. The expansive Chatham Lighthouse Beach isn't good for swimming, but it's the perfect place to take a stroll, as it's got the finest sand I've experienced outside of the Caribbean and a beautiful view of the namesake lighthouse towering in the background. For a relaxing afternoon at the beach, check out Harding's or Cockle Cove, both offering calm, warm, shallow waters – in other words, they're perfect for small children. 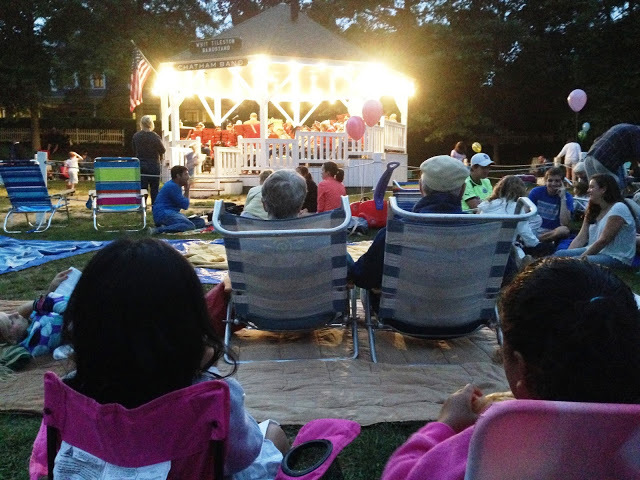 On summer Fridays at 8pm, the Chatham Town Band sets up in the gazebo at Kate Gould Park on Main Street and delivers an old-fashioned outdoor concert. Claim a spot early with your folding chairs and blankets, and come back after dinner. And you'll have to make a stop at Chatham Candy Manor, which is always packed with people coming from all over the Cape to buy the fudge, hand-dipped chocolates and bagged gummy candies. 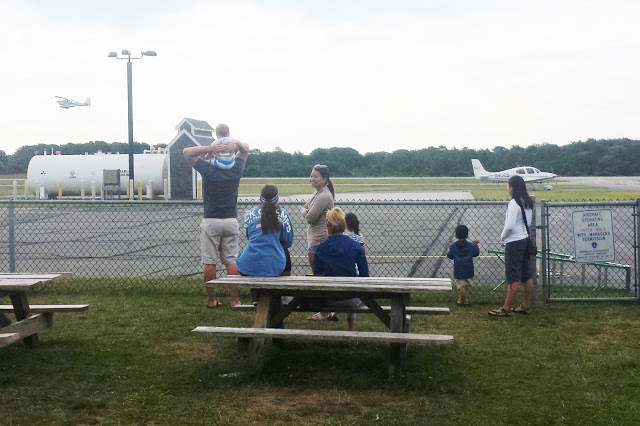 A really neat place to grab breakfast or lunch is Hangar B Eatery, an extremely kid-friendly restaurant offering organic and local ingredients and a view that can't be beat – it's adjacent to the tiny Chatham Airport, so you can watch small planes take off and land while you wait for a table. We also loved eating at Brax Landing in nearby Harwich Port, which features a beautiful outdoor deck overlooking Saquatucket Harbor. The food is excellent and the ambiance is just the right mix of casual and preppy. 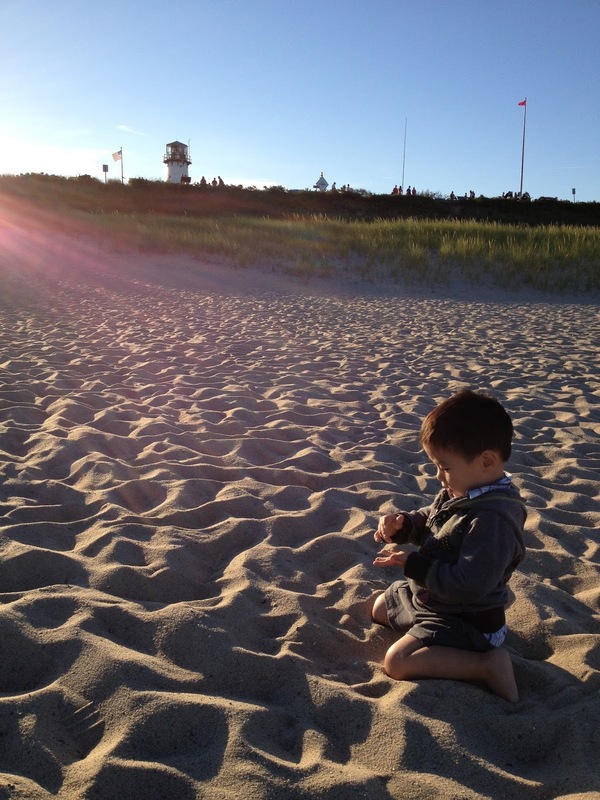 For ice cream, head over to neighboring Yarmouth, where you'll find the super popular Cape Cod Creamery, with its wraparound porch and Adirondack chairs to lounge on, and the small but yummy Lil' Caboose, which has a wooden train set up on the premises that the kids will love. 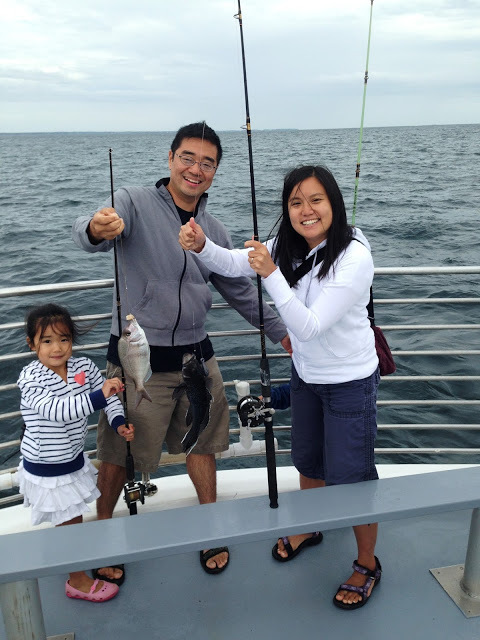 The highlight of our trip was to go on a fishing tour with Cap'n Kids Fishing Adventures in Harwich Port. The tour guarantees that your kids will catch fish during the two-hour boat ride – and they were totally right! The kids had a blast using the fishing poles, watching the lobster and crab traps getting pulled in, and scrubbing the deck. For other New England itineraries, check out my posts for Kennebunkport, Maine, and Newport, Rhode Island.